The Prince’s Trust gives practical and financial support to young people, developing key skills such as confidence, teamwork and motivation. They work with 11 to 30 year olds across the UK, who are long-term unemployed, have struggled at school, have been in trouble with the law or have grown up in care. Danum Eagles/Fundamental Basket Ball Club believe in an all inclusive way of coaching. Their priority is to get every single young person involved in a positive way to raise each and every player’s level of self esteem, confidence, teamwork skills and overall fitness. They will make sure that every young person, regardless of ability, will be able to access the sessions, have fun and achieve. DCLT’s 16 venues range from traditional community leisure centres, the award winning Dome, new build school facilities, a training academy and an outdoor activity centre/campsite. Doncaster Culture and Leisure Trust (DCLT) is a charitable organisation that has a proven track record of developing and delivering a diverse range of Health and Well Being, Leisure, Sport, Cultural and educational/skills programmes and services across the borough of Doncaster. Their mission statement is ‘Striving For Healthier Communities’. 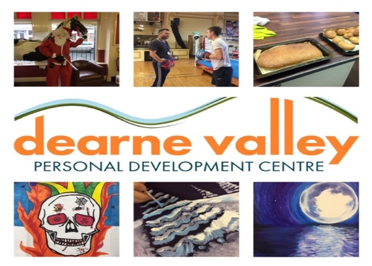 Dearne Valley Personal Development Centre is a provider of alternative education for young people disengaged from the mainstream school system, through a wide variety of reasons and causes. They seek to re-engage these young people through a programme of targeted activities based on the person’s needs, wishes, abilities and aspirations, learning key skills and social interaction by a process of inclusion and participation. Out Youth are an working to improve life chances for LGBT+ young people. We offer training and support to schools and services as well as work to develop youth provision. This programme aims to be a supportive measure in schools offering twilight training sessions to front line staff by young people who can talk about their personal experiences praising but also working with schools to identify what they could improve on and how they can ensure their schools are fully inclusive and responsive to issues as they arise, providing early intervention and support for LGBTQ+ young people. The main aims of Links 4 Youth are to provide lifelong learning and to address problems caused by deprivation and isolation through the provision of activities related to education, health and recreation for all ages. Regular activities are sewing and crafts, Tai Chi, Walking group, Pilates, Painting, Drawing and supporting our successful Links 4 Youth Project mainly based in Mexborough. Starting in 2001 as Higher Rhythm Recording Studio, our recording studio in Doncaster, is now just one strand of Higher Rhythm Ltd. The studio ranks amongst the best equipped recording studios in Yorkshire, and they work with music artists at all levels to provide professional studio recording. However, it’s their additional support that makes them unique and they offer music releases, managed digital distribution, radio broadcasting opportunities, live events, workshops, accredited short courses. A fully funded bespoke programme of specialist consultancy and support to empower your educational setting to become LGBT+ Inclusive for the benefit of all your LGBT+ students. Their team of expert consultants will support you and your staff teams with a comprehensive tailored package. This can include advice on policies, staff training sessions, through to support to enable you to embed and implement a whole school approach to LGBT+ inclusion. Their team are also available to enthuse secondary school age plus students, through assemblies, empowering them to create and facilitate a peer-led LGBTQ+ Youth Group in their educational setting. Their consultant will arrange an initial assessment with you to develop the most appropriate and effective package of support for you. If you think any this course would be suitable for your children or young people, please click the EXPRESS YOUR INTEREST to contact the delivery organisation and book your programme. 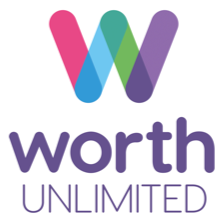 Worth Unlimited for Doncaster is the local branch of a Christian, national charity which delivers personal coaching/mentoring programmes to young people in schools, between the ages of 5 and 18. They have an excellent, local track record, having already partnered with 18 primary and secondary schools in Doncaster since 2012. They fulfil a secular role in schools and are passionate about helping young people build their self-esteem and confidence, leading to stronger self-belief and greater engagement with learning.